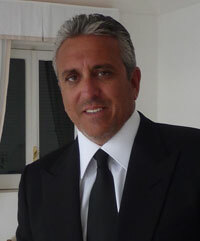 Dr. Alfonso A. Costa serves as Chairman of Costa Land Company, Inc., a real estate development, management and investment company with properties in New York, South Carolina, Florida, Pennsylvania, Michigan and Italy. The son of Italian immigrants, Dr. Costa learned first-hand the value of hard work, education, integrity, and loyalty. He attended Central Catholic High School in Pittsburgh before earning his Bachelor of Science and Doctorate of Dental Medicine from the University of Pittsburgh, in its competitive accelerated program. While managing a successful practice as an Oral Surgeon from 1986-2001, Dr. Costa acquired his first real estate property in 1990 with the purchase of Monroe Complex, a 10,000 square foot office building in Monroeville, Pennsylvania. Dr. Costa’s purchase established the groundwork for the development of his expansive real estate portfolio and foundation of Costa Land Company, Inc. and its affiliates. Today, Costa Land Company owns over one million square feet of commercial and residential property throughout the United States and in Europe. This includes the 6th and 7th largest real estate transactions of the Pittsburgh region in 1999 with the purchase of Robinson Crossroads and Plaza at the Pointe, both located in Pennsylvania. In 2005, Dr. Costa teamed with Swig Equities to purchase 25 Broad Street, a 346-unit residential conversion, located in the heart of lower Manhattan's Financial District in New York City. Dr. Costa then expanded his portfolio with the purchase of 145 Greene Street, 469 Avenue of the Americas, and 58 East 56th Street, all prime locations in Manhattan. Costa Land Company recently diversified its portfolio with investments in the Palm Beach Polo Golf and Country Club in Wellington, Florida, home of the famed annual FTI Winter Equestrian Festival. Costa Land Company completed construction on Ravello, an equestrian estate located in prestigious Grand Prix Village. In 2015, Costa Land Company introduced Sunset West to the Equestrian World. Sunset West is an ultra luxury equestrian estate known for its incredible detail to providing comfort to horses and their riders. Sunset West was designed exclusively by Dr. Alfonso Costa. Dr. Alfonso Costa actively participates in numerous professional, civic and philanthropic organizations including service as President of the Pittsburgh Chapter of the Carson Scholars Fund. In addition, Dr. Costa served on the Yale University Tomorrow Committee, instrumental in raising $3.88 billion for university projects.